Box office: Boom times, or bust? "The Possession" claimed the top spot at the box office last weekend, but we doubt Lionsgate was celebrating. The thriller was crowned champion of the worst box office weekend in more than a decade, with a total that didn't even crack $10 million. Not exactly bragging rights. But maybe Hollywood can hope for a turnaround this week: There's "Finding Nemo" in 3-D, and "Resident Evil: Retribution" opening wide. True, "Finding Nemo" is a re-release, and "Resident Evil: Retribution" isn't going to get an audience off Oscar buzz, but that's not to say fans won't support. 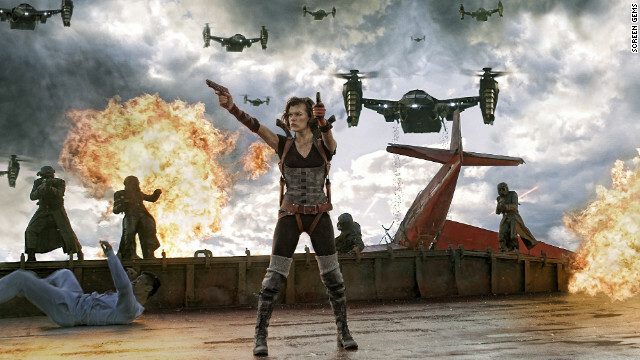 When "Resident Evil: Afterlife" opened in September 2010, it earned $26.6 million, according to BoxOfficeMojo.com, and recall how well "The Lion King" did when it returned to theaters last September, earning No. 1 its first weekend out with $29.3 million. If "Finding Nemo" or "Resident Evil" pull in half that, hey - at least they achieved ticket sales over $10 million. Also opening this weekend will be "The Master," but it's in limited release. Do you have plans to head to the movies? Katie Couric appeared to have some insider knowledge Friday as she asked former "American Idol" judge Jennifer Lopez what she thought of the new "Idol" lineup. Lopez, who announced she was departing the show over the summer, wasn't aware of what Couric was referring to, as the new daytime host hedged that she thought Fox had announced the new judges to be Keith Urban, Nicki Minaj, Randy Jackson and the previously announced judge Mariah Carey. 'Glee' returns! What'd you think? 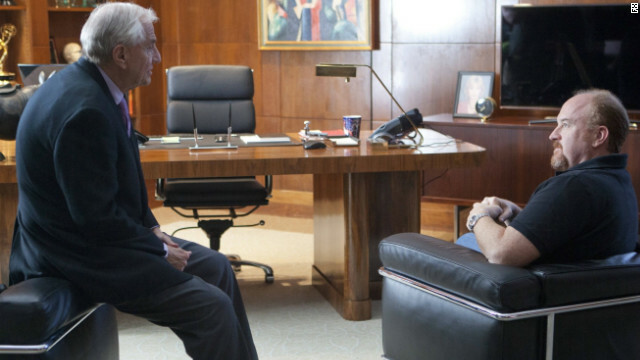 New season, new guest stars, and "Glee" didn't hold back with its season 4 premiere Thursday. The Fox show's return opened smack in the middle of an NYADA dance class where Ms. David Schwimmer - as Hudson's no-mercy dance teacher, Cassandra July, called Lea Michele's Rachel Berry - was feeling way in over her head. With Rachel adjusting to being the new kid in New York, the big question for the premiere was who would become the new "Rachel" back at McKinley High in Ohio. Funny enough, it seems critics were almost afraid to find out the answer to that question. With the opportunity all comedians dream of dangling in front of him, Louie realized he’d have to work to get the job. We're just guessing here, but Eva Longoria must like 'em athletic. The actress/producer/political speaker admitted to "Extra's" Mario Lopez Thursday that she's seeing someone new.